Firefighters extinguished a fire Thursday that engulfed a single-family residence in La Mesa. The fire started at 10:20 a.m. at 3805 Carbo Court, which is just north of State Route 94 and east of Lemon Grove Avenue, according to Heartland Fire & Rescue. 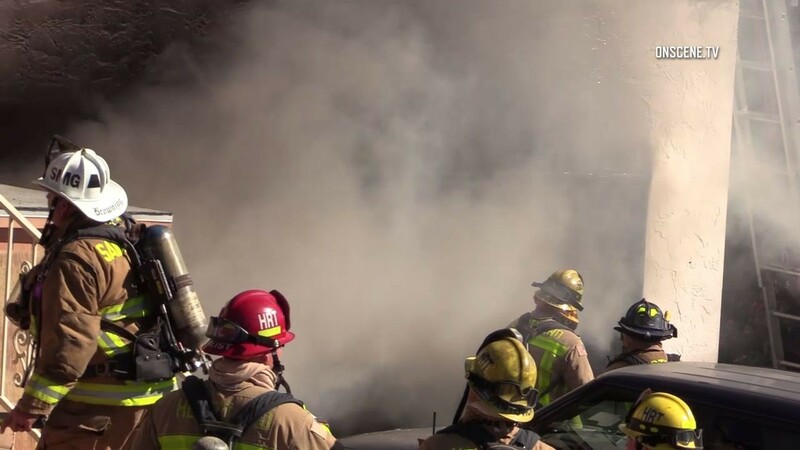 Firefighters discovered an attached garage fully involved with fire, extending into the main body of the house, according to public information officer Sonny Saghera. No neighboring structures were affected however, there was significant smoke and heat damage throughout the residence, Saghera said. Due to the heavy amount of fire, a second alarm was called to bring additional units, and the San Miguel Fire Department and the San Diego Fire Department assisted. The fire was contained within 30 minutes. Two residents were transported to the hospital for smoke inhalation. The fire caused an estimated $250,000 in damage to the structure and its contents. The cause is under investigation.